If we have to talk about this at all we’re coming out with all guns blazing. The War on Christmas has guilty parties on every side and we’ve got a take-no-prisoners attitude. This is the truth, the straight truth and nothing but the truth about this goofy, silly thing called the War on Christmas. Do you say Merry Christmas? Do you call it a holiday tree? Have you read the Constitution? Do you understand what the word “establishment” means? Have you ever read the declaration of Christmas as a national holiday? We’re guessing that if we gave a quiz with these questions to any combatant on any side on this war on Christmas stuff they would fail miserably. 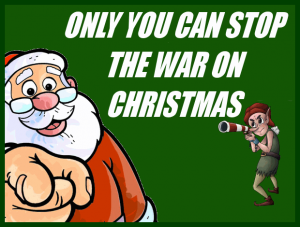 Because the war on Christmas isn’t actually about Christmas. We don’t know what it is about. But it ain’t Christmas. Well stated. It has never been about a war on Christmas, but on Christ. I will split hairs on one point you made. Many people say “Happy Holidays” with no intent to deface or defame Christmas. Its just something you say around what? The HOLIDAYS! 🙂 However, some stores specifically tell their clerks to say “Holidays”… some stores have signage that states “Holidays”… some people refer to Christmas trees as “Holiday Trees”… some workplaces (mine included) no longer have “Christmas parties”, but “Holiday parties” featuring pictures of santa and snowmen…. These are intentional changes attempting not to “offend” others about Christmas. I won’t participate in my work functions because of their stance on it. Christmas is the best time of the year it it should be all year long . Only if.we could drink eggnog every single second. Then we wouldn’t have to worry about getting sick off it! hey guys! Our religions should all come together and celebrate Christmas. 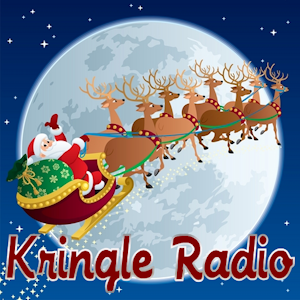 Merry Christmas in July everone!